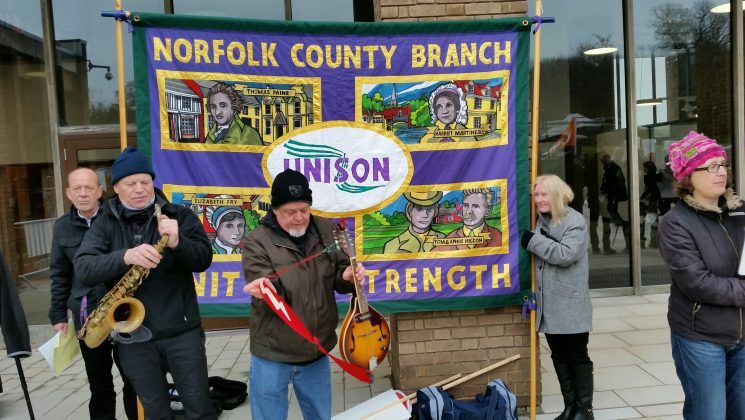 Who are the Norfolk County Branch of UNISON? We are a branch based at County Hall, Norwich. We have over 9,000 members working in local government, schools, Academies, social care and many community, private and voluntary sector employers providing services in the public sector. We are here to offer our members help and advice on employment, legal and health and safety matters, education and training opportunities and welfare support. We are also involved in negotiations on a whole range of issues both locally and nationally, including pensions, pay, and terms and conditions of employment individually and collectively.